Casio has long been known for technological innovation, and this includes some of the fantastic smartwatches that they have produced. 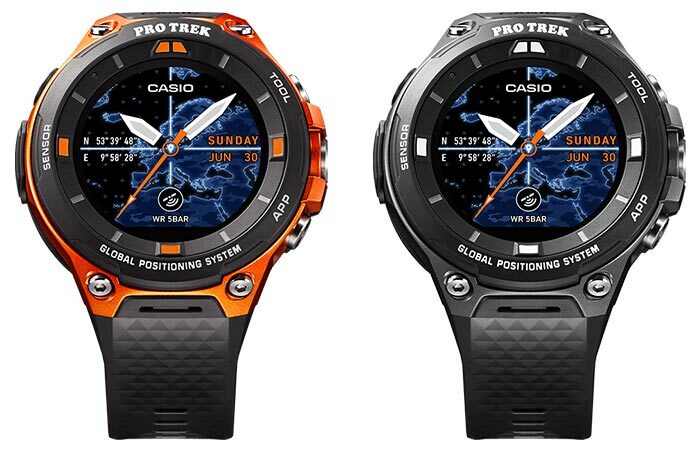 Their latest, the Casio Pro Trek WSD-F20, is the most advanced model from them yet. Its style, however, seems to have borrowed some of the G-Shock’s rugged looks in a more refined case. Having always gone to stand apart from the rest, the Pro Trek WSD-F20 has definitely hit its mark. Stylish, yet rugged enough, and packed with features, this watch does not disappoint. 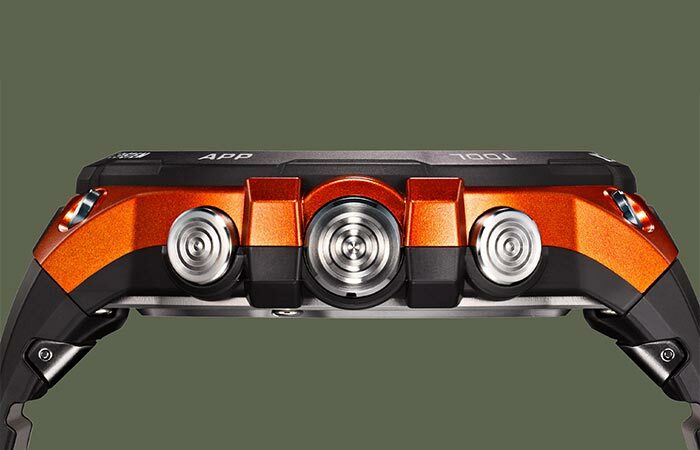 The Pro Trek WSD-F20 comes in two different colors. They only weigh 92 grams (3.24 ounces) with the armband included. Even though it sports a somewhat more refined style than the G-Shock, the Pro Trek sports a Military Standard 810 environmental durability. It also has a water resistance of 50 meters (164 feet). Furthermore, this watch boasts a 1.32” dual layer capacitive TFT LCD touchscreen. It comes with a native resolution of 320 x 300 pixels. Check out the video below. The Pro Trek also comes with GLONASS and Michibiki GPS compatibility. To ensure that you never get lost, the Pro Trek also features GLONASS and Michibiki compatibility, as well as offline color maps. In addition to this, it has pressure sensors, an accelerometer, gyrometer, and a magnetic compass sensor. The operating system is an Android Wear 2.0 and it is compatible with both iOS and Android smartphones. To connect, it features low energy Bluetooth V4.1 and Wi-Fi. The Pro Trek comes with a Tool button, an App button, and an intuitive power button. 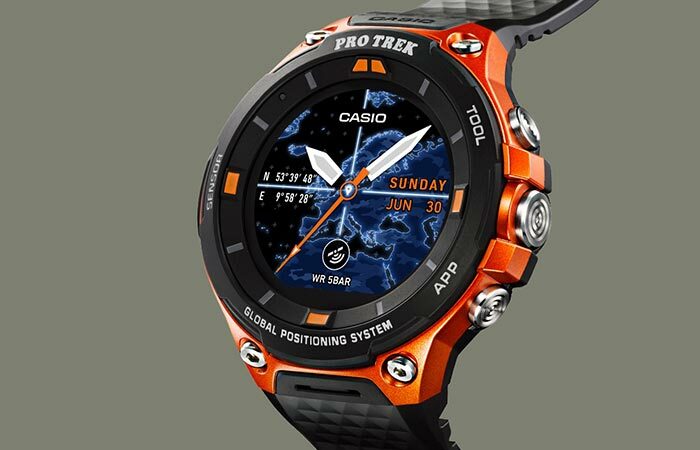 The Pro Trek also comes with a Lithium-ion battery that has a very impressive battery life of 1 day in GPS mode and more than 1 month in Timekeeping mode. It can also charge from empty to full in about 2 hours. It will be released on 21 April 2017.